What Do You Pay Attention to When Buying Black T-Shirts for Men? Do you like to wear a black T-shirt under your shirt, sweater or suit? Then you will find that there is a wide range of black T-shirts out there. 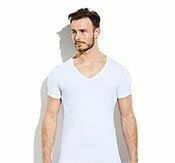 Despite the fact that many basic T-shirts look very similar, there are some big differences. The differences are in the level of comfort and the comfort is in the details. Details are not always visible but you can feel them. 'How is the fit?' and 'does the fabric feel nice?' are examples of questions that can only be answered after you wear a T-shirt for the first time. 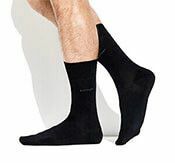 With the help of bamboo fabric Bamigo provides excellent comfort. Bamboo fibres are round and smooth, resulting in very few barbs. This means that bamboo undergarments feel incredibly soft. You are probably already aware of many of the advantages of bamboo but did you know that bamboo absorbs three times more moisture than the fabric that is most commonly used for undergarments: cotton? As a fabric, bamboo makes sure that undershirts will smell fresh longer and that you will not easily see perspiration stains. Not bad, is it? 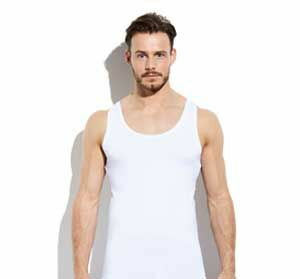 If comfort plays an important role when you look for an undershirt, Bamigo is an excellent option. Are you curious about bamboo base layers? Try it out and see for yourself!